Backyard walkways and paths are a great way to connect parts of your yard and create separate areas within it. 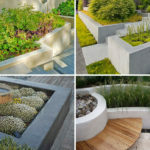 Today we’re sharing 14 examples of modern backyard walkways that add a creative element to the landscape design, and work to both connect and divide the yard. 1. Square pavers arranged geometrically in the backyard of this home create a distinctive walkway through and around the yard. 2. 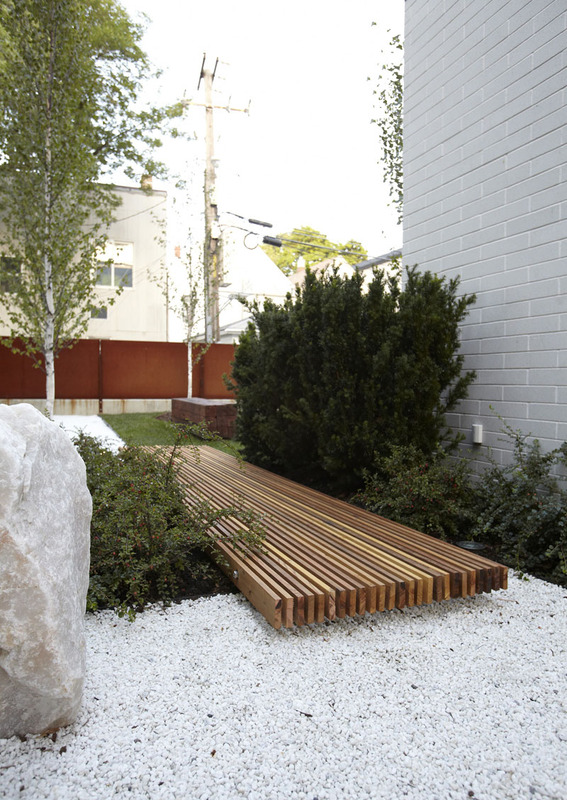 A short walkway, made from stained wood strips, connect two different parts of the yard in a modern, contemporary way. Designed by Studio Dwell Architects. Photography by Marty Peters. 3. 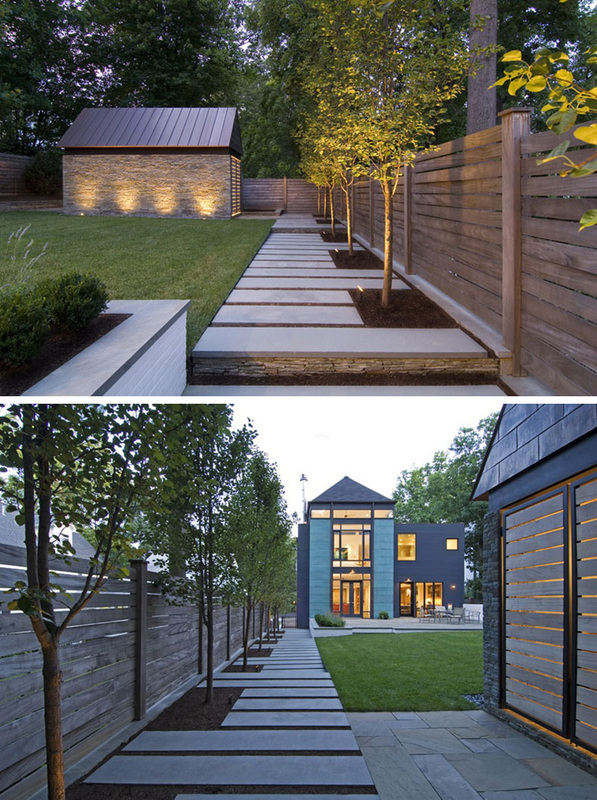 The walkway in the yard of this home is made up of thin panels of light wood that guide you throughout the yard. Designed by Jeffrey Allsbrook from Standard Architecture. Photography by Lisa Romerein. 4. Elevated concrete strips lead through the backyard of this seaside home out to the beach, protecting the sand and vegetation beneath it. Elphick Proome Architects designed this beachside home near Cape Town, South Africa. Photography by Dennis Guichard. 5. The slightly curved wood walkway along the backyard of this home softens up the harshness of the dark exterior and gives a more natural look to the yard. 6. Two strips of concrete pavers lead up to the back of this home and help to define the various sections of the yard. 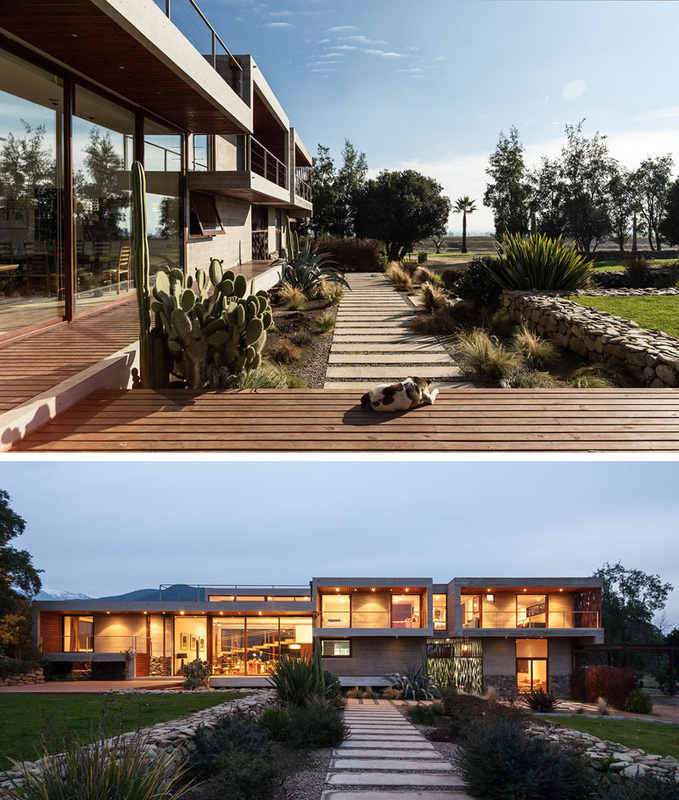 Chauriye Stäger Arquitectos designed this home in Paine, Chile. Photography by Pablo Blanco. 7. A paved walkway runs along the side of the yard, leading from the front to the back of the yard, keeping it open and free for playing and entertaining. Robert Gurney Architect designed the remodel of this home in Chevy Chase, Maryland. Photography by Maxwell MacKenzie. 8. A walkway made from wood leads straight through the home and into the backyard of this family home creating continuity between inside and out. 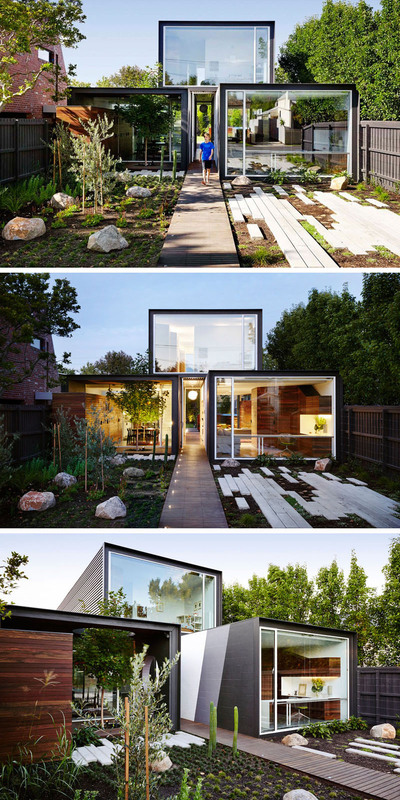 Austin Maynard Architects designed this home in Melbourne, Australia. Photography by Tess Kelly. 9. An elevated wood walkway leads through the yard of this home, connecting various parts of the home together without impacting the landscape. 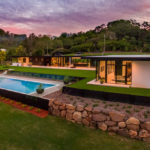 Grounded, LLC designed the landscape for this home. Photography by Robert Radifera. 10. The wood pathway through this yard is surrounded by ivy covered arches and is lit up by overhead lights that keep the path safe, even at night. 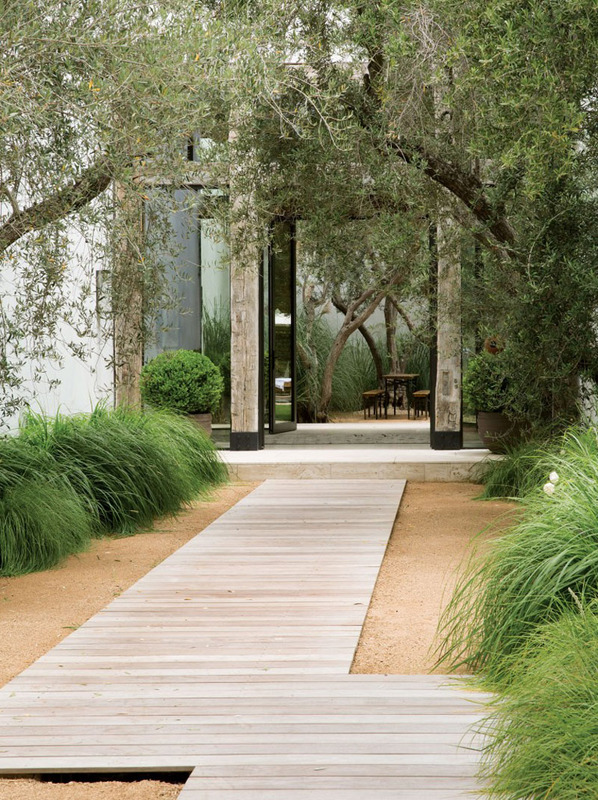 The Garden Company designed the landscaping for this Melbourne home. 11. The backyard path of this home is lit by LED lights, and leads from the patio out to a secluded entertaining space complete with seating and a firepit. 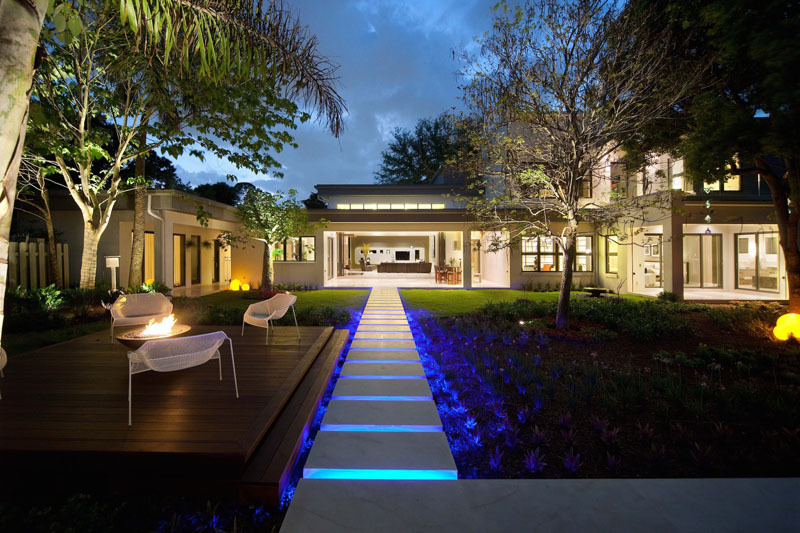 Phil Kean Design Group designed this home in Orlando, Florida. 12. 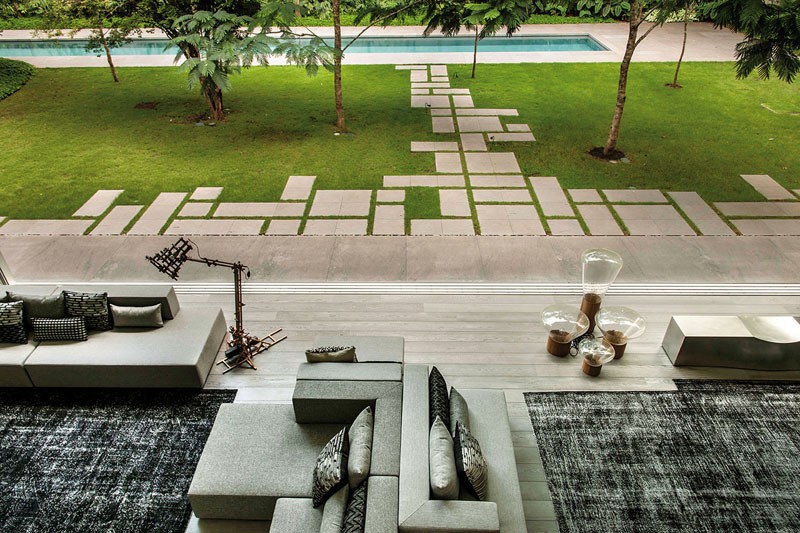 Concrete pavers make up the pathway around the back of the house, connecting the various spaces and creating a modern landscaping detail. Walker Workshop designed this home in Los Angeles, California. Photography by Noah Walker and Nicholas Alan Cope. 13. Rectangular concrete pavers have been arranged in a slightly staggered fashion to create a curved pathway that runs through this contemporary backyard. 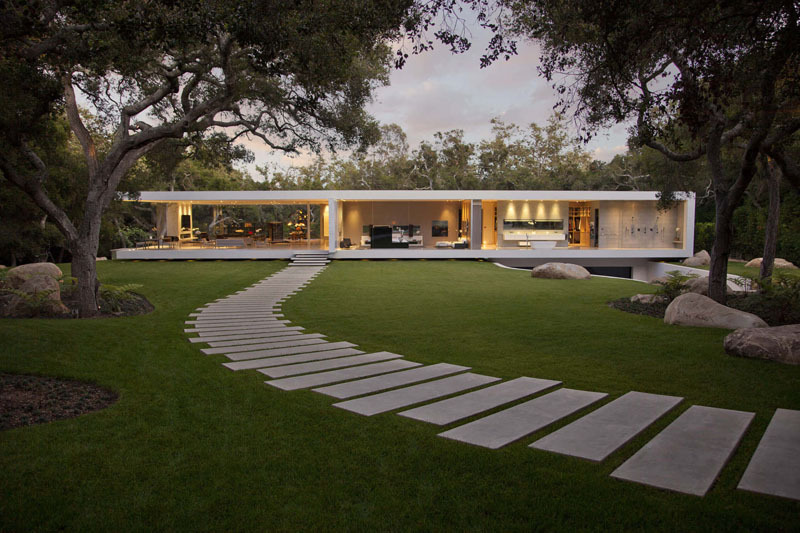 Steve Hermann designed this house in Santa Barbara, California. 14. 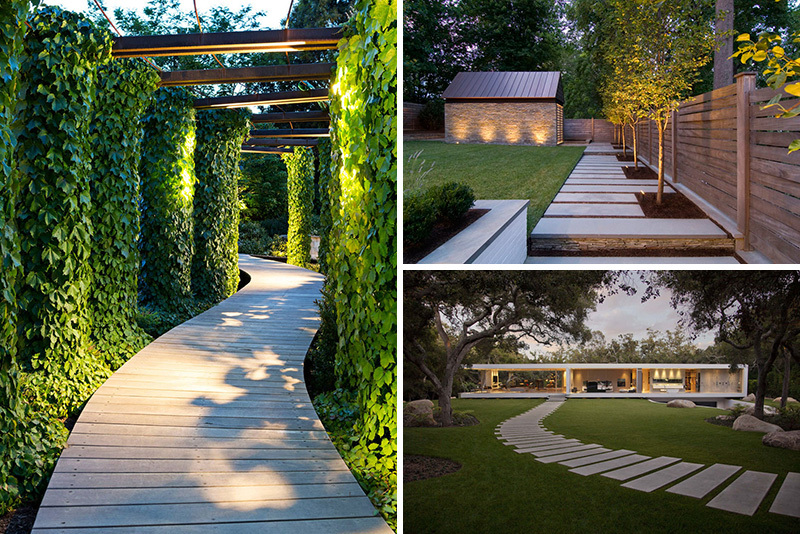 A dark wood walkway leads through the backyard of this home, dividing the grassy space and the pool area. 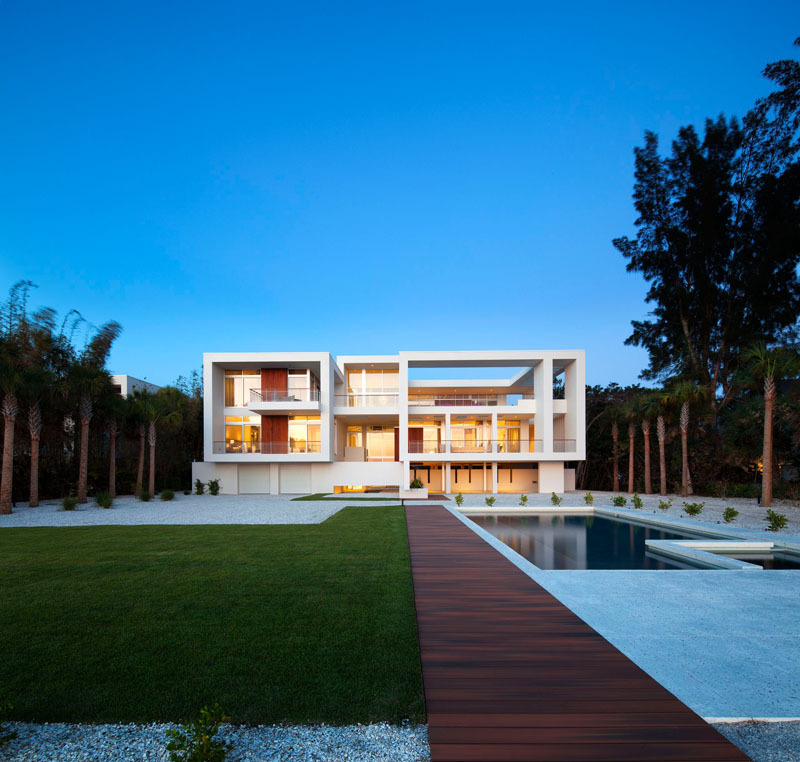 Michael K. Walker & Associates Inc. designed this home in Tampa, Florida. Photography by Greg Wilson.